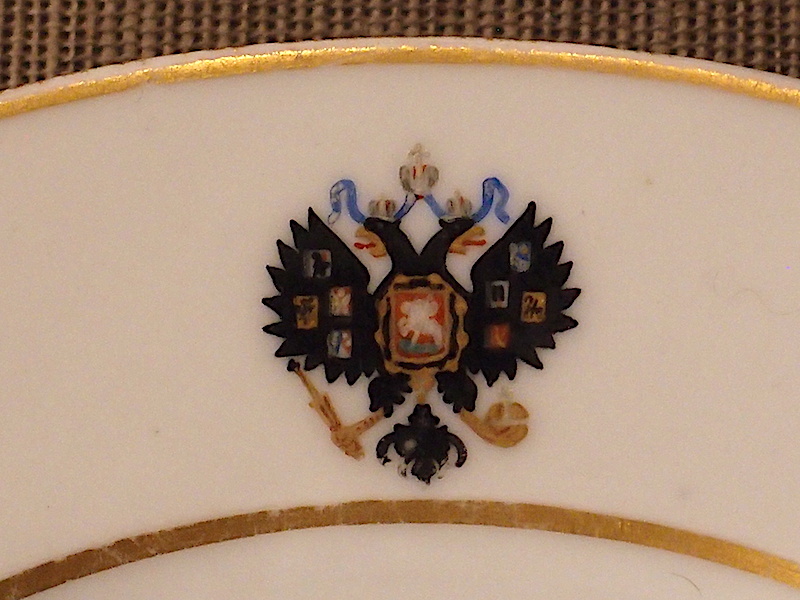 A Russian porcelain plate from the Alexander III Coronation Service made by the Imperial Porcelain Factory, 1892 and 1896. 22cm diameter. 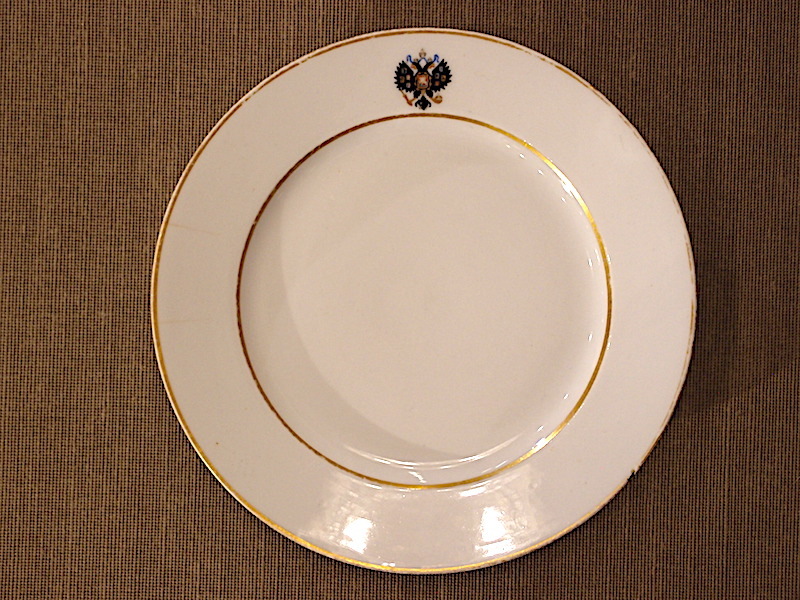 This plate is marked with the green cypher of Alexander III dated 1894. There is a small chip visible on the front. two rim cracks can be see on the rear.